Grant Road Park Subdivision is in the Central area of Tucson. Homes in Grant Road Park Subdivision are near the Banner – University Medical Center. And Tucson Medical Center is minutes away. Also, Condos and Townhouses in the Central Area are popular for both students at the University of Arizona and those looking for an urban living experience. The University Of Arizona is a short drive from Grant Road Park Subdivision. Home prices in the Central area will range from under $150,000 to over $1 Million. There is a wide range of home choices available in the Grant Road Park Subdivision and Central area. And if you are looking for a Mid-Century Modern Home the Grant Road Park Subdivision might be the place. Tucson’s historic and mid-century homes are found in the Central Area. Families living in Grant Road Park Subdivision are served by the Tucson Unified School District, or TUSD. Restaurants to visit if you live in the Grant Road Park Subdivision or another Central area location are Blue Willow and Charro Steak. Considering A Home In the Grant Road Park Subdivision? Are you thinking of buying a home in the Grant Road Park Subdivision or another area of Tucson? Finding the right home or Condo can be a challenging process. But we can make the process much less stressful for you. We have been Tucson Realtors since 2002. We know Tucson and the Tucson Real Estate market. As a top Realtor team, we invest the time to understand your home buying interests and desires. At our first meeting, we will review the current real estate market with you. Show you the market data and then walk you through the Arizona home buying process. Why? We want you to know what to expect. And what to plan for. Interested in new construction? We’ll brief you on buying a new construction home. And what’s unique about the process. For us, you are not another real estate transaction. You are a client and, future friend. We strive to create a relationship that continues long after you move into your home. Review our profiles. Check out our backgrounds, education, and certifications. We are here to help you “know what you need to know” to buy a home in Tucson, AZ. We provide you information on Tucson events, places to shop and restaurants. Our resources include contractors, electricians, and home services. We will also help you get deals on tile and paint to make the home you buy yours. Our professional service backgrounds mean we put you first! Thinking about selling a home in the Grant Road Park Subdivision? Selling a home requires more than listing it in the Tucson MLS system. It’s about marketing. Marketing through multiple online channels. To no one’s surprise, 80% of home buyers start their search on the internet. Homes must be visible on multiple internet channels. The more visible a home is, the faster it will sell. We use multiple online marketing channels to showcase your home. We will build a standalone website built to show your home. Our marketing program targets key cities in the U. S. based on the season. For luxury listings, our drone service provides video of your home and neighborhood. This video along with professional photos helps the online buyer see and feel in your home. Thank you for visiting www.premiertucsonhomes.com! It’s one of the top real estate websites in Tucson. Our clients say that, not us. 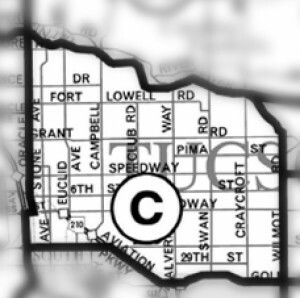 Our website provides information on communities and neighborhoods in the greater Tucson area. Want more? Give us a call – 520-940-4541. We are ready to answer your questions and help you get the information you are looking for. We are a top Realtor team in Tucson, AZ. Read our client testimonials. Give us a call. We look forward to making your home buying or selling a home an enjoyable experience for YOU! Sign UP to receive daily HOME TRACKER UPDATES – OR – Our Monthly NEWSLETTER – OR – More INFORMATION about us. And get regular updates on the Real Estate Market and events in Tucson, AZ.